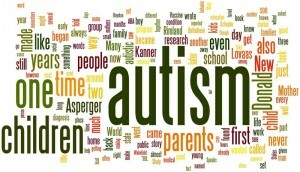 “In a Different Key: The Story of Autism” by John Donvan and Caren Zucker is a lengthy and panoramic history of autism. I can recommend it for its sheer depth of research and quality of referencing, with the proviso that it presents a history of parents of autistic children. The degree to which autism is portrayed as a tragedy and the loss of a normal child will be unpalatable to many people who have autism themselves. “In a Different Key” is a lengthy read at 688 pages and led me to read many of the references that were either new to me or to re-read papers with nuggets of information that I had never appreciated (for instance Bruno Bettelheim’s bombastic appearance 31 minutes into Woody Allen’s film “Zelig”). The book is written by two journalists who have been heavily involved in reporting about autism and have a personal interest, as parents of children with autism, in the issues surrounding advocacy, intervention and treatment of autism. As a person with Asperger syndrome, I find the tone and perspective of the book is difficult to read, although parents of people with autism or Asperger syndrome may well find this book supportive and in tune with their perspective. I did find the book to be full of useful material, but I did not like it and my dislike of the tone and perspective influences everything I write here – as they may now say: “when you have read one history of autism, you have read one history of autism”. I can pinpoint the moment when my resolve to review the book even-handedly snapped, a quarter of the way (and six days) in, with yet another portrayal of autistic babies and children as “beautiful” or “perfect” — there is absolutely no correlation between autism and beauty, and it is not necessary for disabled people to look pretty in order to be valued. There is an over-use of “disabled” as a noun and no recognition that disablement is a process, the outcome of social structures that systematically exclude and marginalise people with physical, sensory and behavioural impairments. The term “the disabled” is dehumanising, just as much as “the retarded” was in previous generations. Language changes perceptions and bad use of language perpetuates a society in which beauty does make a lot of difference to welfare for disabled people. (Yes, I do say “person with Asperger syndrome or autism”, and you can read more about my language choices in http://wordpress.stuartneilson.com/what-to-call-a-disabled-body – essentially I “am autistic” in certain contexts, but it is not my primary identity nor even part of my conscious awareness all the time. I am quite possibly least aware of autism precisely when I am most autistic, absorbed in music or mathematics). The two chapters on Hans Asperger are interesting and present a very negative image of a collaborator with euthanasia whose career advanced under Nazi occupation. This presentation contrasts with previous published accounts that have exonerated Asperger of Nazi associations and even presented him as an individual who bravely resisted authority to save his child patients from euthanasia and eugenic thinking. The critical references, unfortunately, are either not available or not forthcoming. Hans Asperger’s first paper, the 1938 “Das Psychisch Abnormale Kind” from Wiener Klinische Wochenschrift, is not publicly available — it would be fabulous if Springer were to release this document. Herwig Czech’s paper “‘The Child Must Be an Unbearable Burden to Her Mother’: Hans Asperger, National Socialism, and ‘Race Hygiene’ in World War II Vienna.” has not yet been published by Molecular Autism. The argument about whether Asperger was a kindly physician or a eugenic monster sidesteps the truth that real people are complex and can be both good and evil. The worst human excesses operate through “the banality of evil” (http://www.theguardian.com/commentisfree/2011/aug/29/hannah-arendt-adolf-eichmann-banality-of-evil), systematically extinguishing the rights of the Other. Asperger lived in a time and under a regime in which different human lives were assigned different values, with brutal slaughter of those deemed unfit. If we don’t learn from history then we are destined to repeat it. We live in a time when we systematically devalue disabled people, unemployed or homeless people and migrants. The rhetoric of “the scrounger” systematically undermines the humanity of Outsiders and justifies action and inaction that harms and kills. As a society, we don’t even blink. The bad (and it is truly, awfully bad) tone and content of the book is written by and for parents of autistic children. People with autism are treated as either a tragedy or a heroic victory — indeed the text is book-ended by Donald Triplett’s life, a “hopelessly insane” child with the first ever diagnosis of autism in the first chapter, who overcomes his disorder to lead a meaningfully independent life in the last. Asperger syndrome is presented as either “another autism” or an altogether different entity with little in common with severely affected children — Chapter 44 places people with Asperger syndrome in quotes (“Aspergian”, “on the spectrum” or “neurodiverse”) to emphasise the authors’ distance. The most notable feature of this distance is that no part of the book contains words from the perspective of people with autism, not even Donald Triplett or Temple Grandin, who feature prominently. The book is informed throughout by the perspective of medics, educators and parents. It is like writing a history of the United States that relies entirely on information provided by Mexico, France and Britain. The missing voices are evident when comparing this version of history with three others (Adam Feinstein’s “A History of Autism”, Gil Eyal’s “The Autism Matrix” and Steve Silberman’s “Neurotribes”). 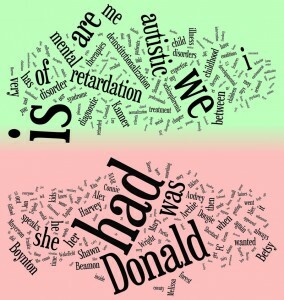 The top (green) half of the image shows extensive use of the first person “I” and “we”, as well as the preferred term “autistic” of many neurodiverse people. The bottom half shows an extensive use of the third person “he” and “she”, as well as a journalistic over-reliance on the personal interest narrative of individual children and their grieving mothers. Mothers appear 3 times as often as fathers within the book. (The image is produced from the ever-wonderful wordle.net, using words with a high positive (or negative) chi-squared statistic, indicating an abundance (or paucity) of the words in each text). The referencing is superb, with a wide range of references throughout all chapters, in a range of sources and turning up some quite obscure materials. There is extensive forward- and back-referencing in the Kindle edition (so you can navigate from the chapter to the notes and references, and then back into the sentence that you came from). The background on the production of the feature films “Rain Man” and “Temple Grandin” is excellent and revealing of the power dynamic. Equally rich is the background information of the development of parent activism in the US, the in-fighting over funding and unity, and the mergers that led to the dominance of Autism Speaks. The two chapters on the unfolding MMR scare (Chapter 40) and its adoption as a rallying cry by parent advocates (Chapter 42) present two radically different and equally engrossing histories of the same factual events. The development of educational rights in the US (Chapters 15 and 24) is an interesting parallel to our own progress in Ireland, led largely by the single-minded determination of Kathy Sinnott (https://en.wikipedia.org/wiki/Kathy_Sinnott) and culminating in the EPSEN Act of 2004 (http://www.education.ie/en/The-Education-System/Special-Education/). Most of these chapters would make excellent resources for personal research on many topics around autism, whatever the tone and content towards people with autism, because the referencing is so comprehensive. There are some excellent chapters and there is a great deal to learn from this history. A final (and perhaps unexpected) good point is the opportunity to read from the perspective of the warrior mother and autism dad. This is particularly true of the autism community’s exploitation of Dougie Gibson’s murder (Chapter 3) to apply pressure for resources to support exhausted parents. It is fascinating to see autism through their eyes as the loss of an idealised child who might potentially be recovered, if only we had that missing piece of the puzzle. There is an annoying tendency to skip backwards and forwards through history, usually for dramatic effect. Many of the chapters end on a cliff-hanger intended to make the book more exciting. Mostly I find the effect tedious. The reference list, sorted into chronological order, is an excellent resource for constructing the factual time-line and deviations from it. In some instances the chronology is distorted to present a parental perspective that is, plainly, false. The scientific account of Andrew Wakefield’s research is described as “a debacle” from the outset of Chapter 40, with the vast majority of skeptical scientists outgunned by an aggressive press and public who devoured the story of a scandalous epidemic created by an uncaring pharmaceutical industry. Then, in Chapter 42, the same events are reversed in time to portray parent advocates who are duped by credible scientists into legal actions and pressure groups, until the all-too-believable story unravels. The scientific consensus overwhelmingly rejected an MMR-autism link from Wakefield’s first public performance and never wavered from supporting the benefits of vaccination. I confess a significant personal interest here because I was born and schooled in countries where one quarter of all children died from preventable illness, and a large proportion of the population lives with lifelong consequences of infectious disease. There are very few comprehensive histories of autism and the time-line is largely folk knowledge for most people, cherished in different forms by different groups. Good reference sources like this should be cherished for their potential to formalise folk histories and open them up to scrutiny. 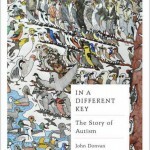 “In a Different Key: The Story of Autism Hardcover” by John Donvan and Caren Zucker is available from http://www.amazon.co.uk/Different-Key-Story-Autism/dp/184614566X/ for £9.99 for Kindle and £17.00 in hardback. “The Autism Matrix: The Social Origins of the Autism Epidemic” by Gil Eyal from http://www.amazon.co.uk/Autism-Matrix-Social-Origins-Epidemic/dp/0745644007/ presents a sociological argument that autism is a modern construction to explain the Others who were previously incarcerated in institutions and labeled as retarded. “Neurotribes: The Legacy of Autism and How to Think Smarter About People Who Think Differently” by Steve Silberman http://www.amazon.co.uk/Neurotribes-Legacy-Autism-Smarter-Differently/dp/1760113638/ is a hugely successful retelling of autism history toward acceptance of neurodiversity. “A History of Autism: Conversations with the Pioneers” by Adam Feinstein http://www.amazon.co.uk/History-Autism-Conversations-Pioneers/dp/1405186534/ is a refreshing and sober collection of firsthand and near-firsthand interviews with the people who identified and described autism from the very first case.